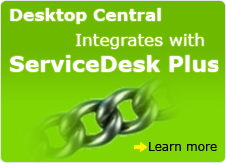 DesktopCentral은 중앙에서 약 1,000대의 데스크탑을 모니터링하기 위한 데스크탑 관리 소프트웨어입니다. "Holden 은행은 Desktop Central을 사용하여 Federal Compliance를 위해 요구된 보안 제어를 실감했습니다." 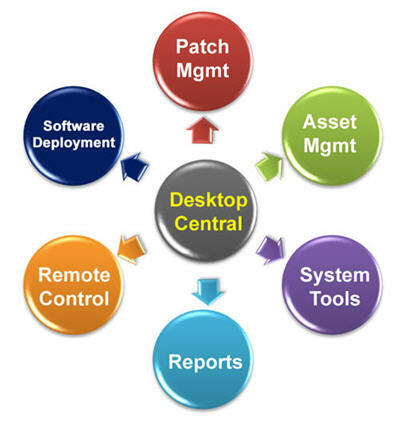 Desktop Central is a complete Windows Desktop Management solution that provides Software Deployment, Patch Management, Asset Management, Remote Desktop Sharing, Service Pack Deployment, Configurations, Active Directory Reports, User Logon Reports and Windows System Tools. With its network-neutral architecture, the administrator can easily manage Active Directory, Workgroup, and Novell eDirectory based Windows networks. 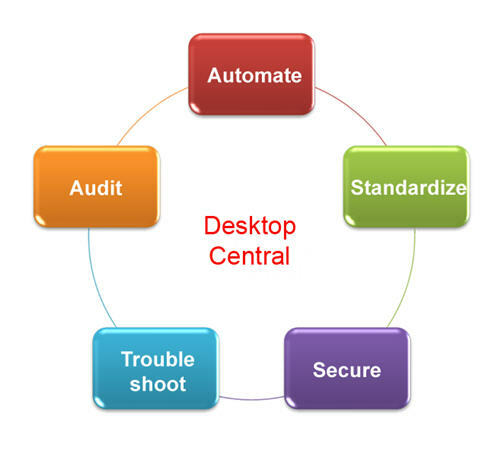 The desktops being managed can be in the LAN or distributed across WAN.